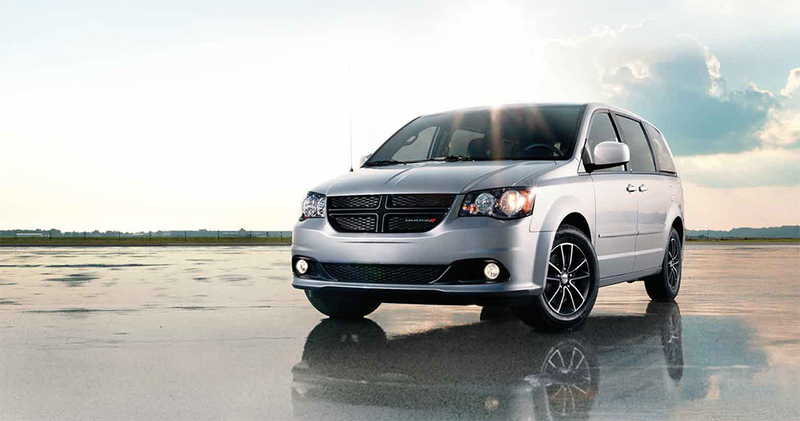 For 30 years now, the Dodge Grand Caravan has been one of the best minivans on the market, and Chrysler Group minivans have been the standard which other companies can only aspire to. However, while the Chrysler Pacifica will still be going strong into the future, the 2017 model year is the last chance you’ll have to buy a new Dodge minivan. The 2017 Grand Caravan comes in four trim levels: SE, SE Plus, SXT, and GT. The SE offers the lowest price and the fewest features, but it still comes with the classic Stow ‘n Go Seating and Storage System, heated power mirrors, and a sound system with six speakers and a 6.5-inch display. The SE Plus adds a voice command system, standard Bluetooth streaming, and a rear bench that flips backward for tailgating. The SXT includes power sliding doors and a power liftgate, and the GT offers a 10-speaker sound system and completely leather seats. 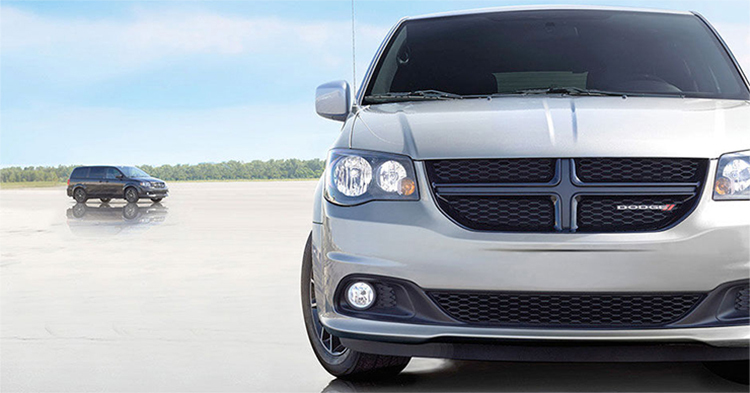 The 2017 Dodge Grand Caravan runs on a 3.6-liter V6 engine that offers 283 horsepower and 260 pound-feet of torque, and can accept E85 fuel as well as pure gasoline. The Grand Caravan also comes with a six-speed AutoStick automatic transmission, which means the driver can choose to switch gears manually instead of relying on the automatic’s timing completely. 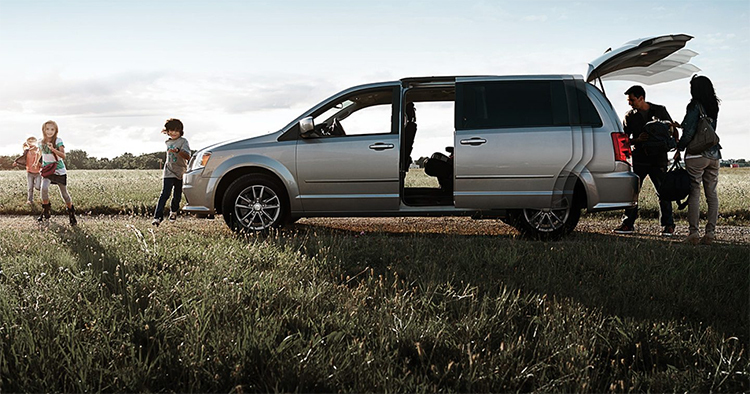 With the proper equipment, this engine also allows the minivan to tow up to 3,600 pounds. A good minivan should offer a comfortable ride but respond when the driver wants it to turn or change speed, and that’s just what you can expect from a 2017 Grand Caravan. Standard all-speed traction control constantly monitors the van for wheel slip, and it can apply the brake to any wheel affected to help the driver stay in control. Every Grand Caravan also comes standard with Trailer Sway Control, which quietly adjusts the throttle and brakes to makes sure the trailer isn’t pushing you in the wrong direction. 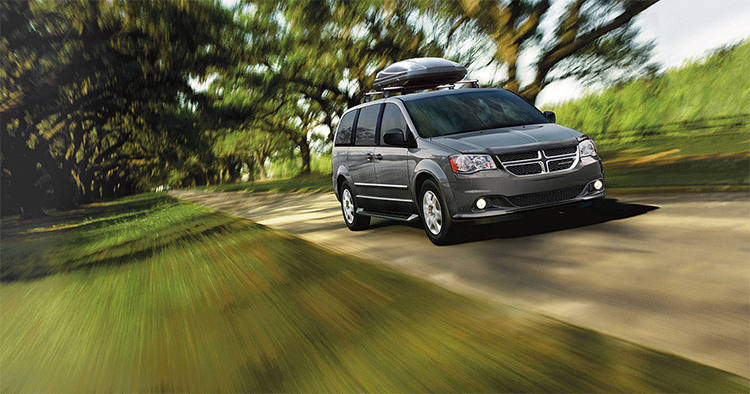 The 2017 Dodge Grand Caravan offers plenty of room for cargo, with 33 cubic feet to begin with and up to 143.8 cubic feet once you pack the Stow ‘n Go seats away. On top of that, the Stow ‘n Go storage spaces make excellent places for passengers to stash a few items during a long trip. Rear-seat passengers can also enjoy a 9-inch video screen complete with a DVD player and wireless headphones, all of which are available on all four trims. Safety is important in a family vehicle, and that’s why the 2017 Grand Caravan provides standard features like seven air bags and active head restraints that jump forward during a rear-end collision to help protect the driver and front-seat passenger from whiplash. A standard observation mirror lets the driver keep an eye on the rear seats without having to turn around, and the ParkView rear back-up camera comes standard on all trims. You might also want to pick up available safety features like the ParkSense Rear Park Assist and Rear Cross-Path Detection with Blind Spot Monitoring. 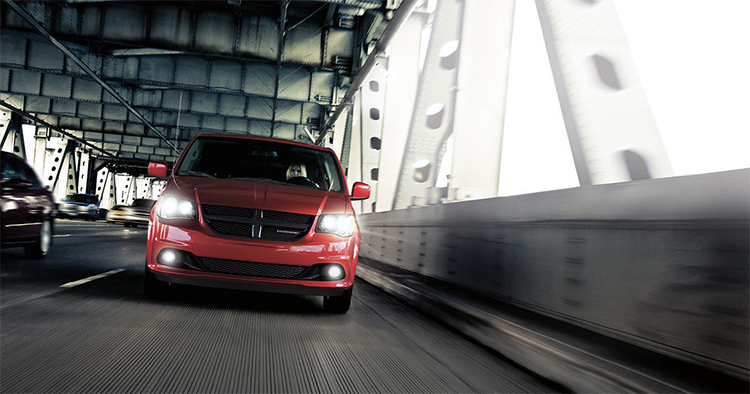 Get behind the wheel of the Dodge Grand Caravan by scheduling a test drive today!